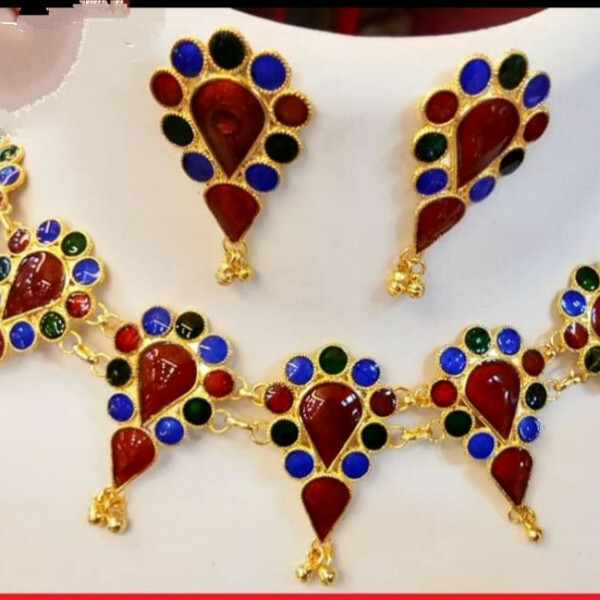 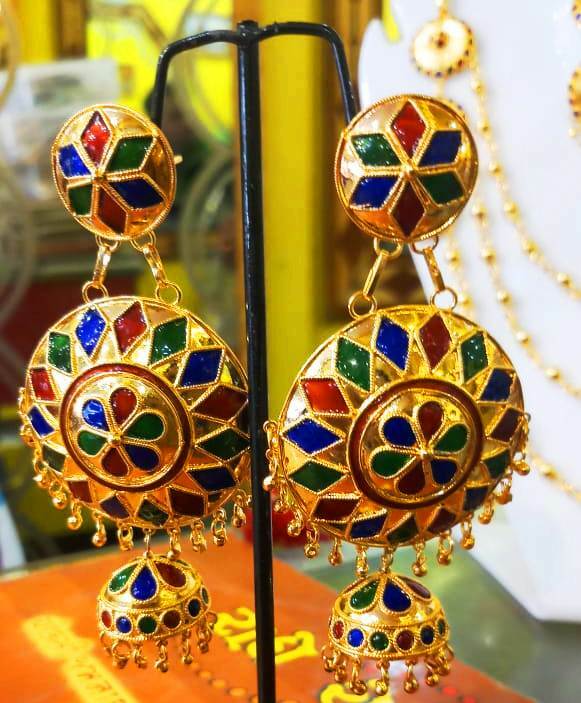 Beautifully designed Jhoomka Earrings with Blue and Red mina work gives a trendy look which is made of Bronze and Silver metals having Gold polished. 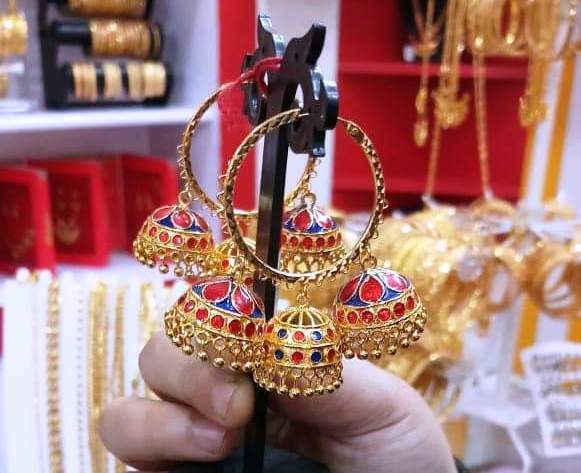 Now a days Jhoomka Earrings are in fashion to wear with any types of dress . 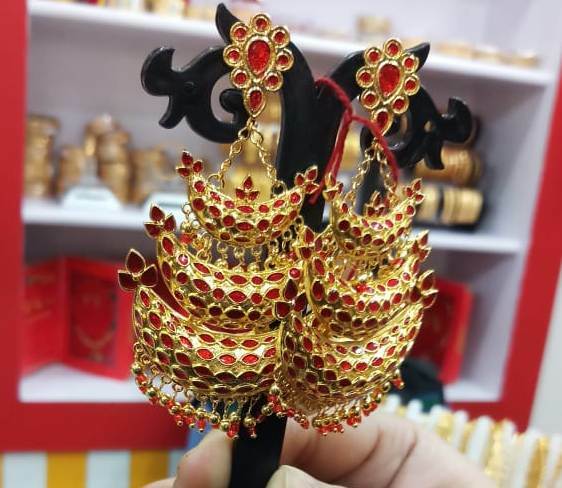 So it is designed in Assamese traditional kesa Xon also . 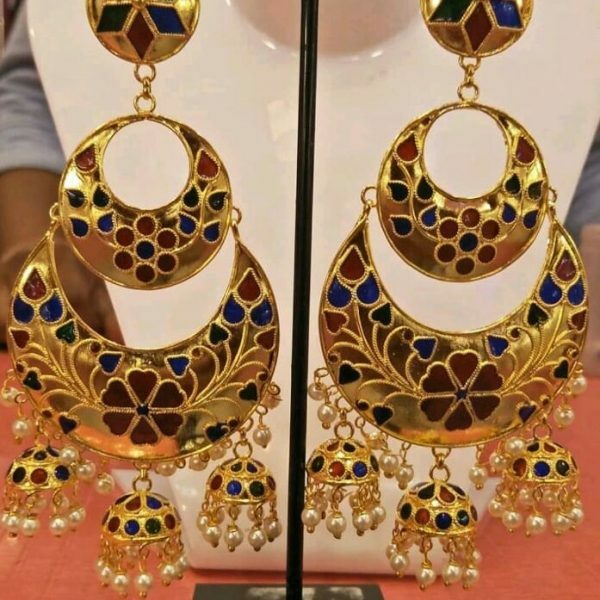 Beautifully designed Jhoomka Earrings with Blue and Red mina work gives a trendy look which is made of Bronge and Silver metals having Gold polished. 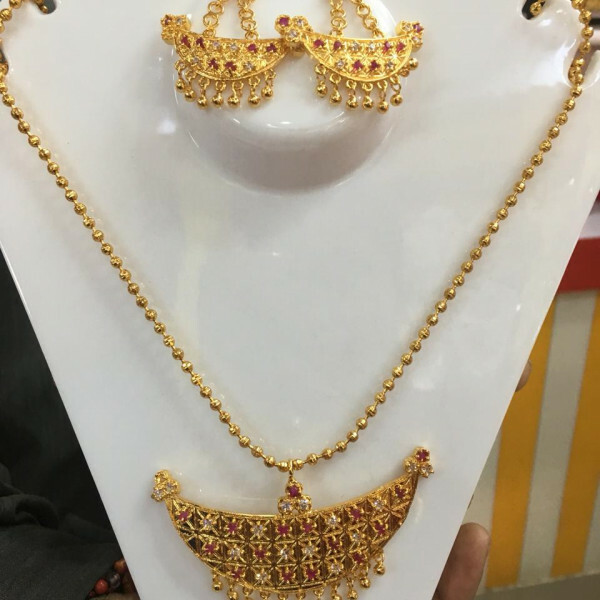 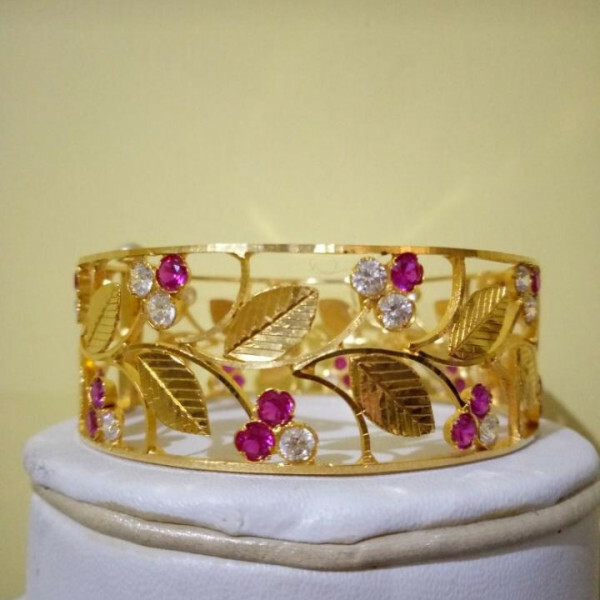 Suitable to wear in any occasions for young girls like Saraswati Puja , Durga Puja , Marriage party or other Assamese traditional functions etc. 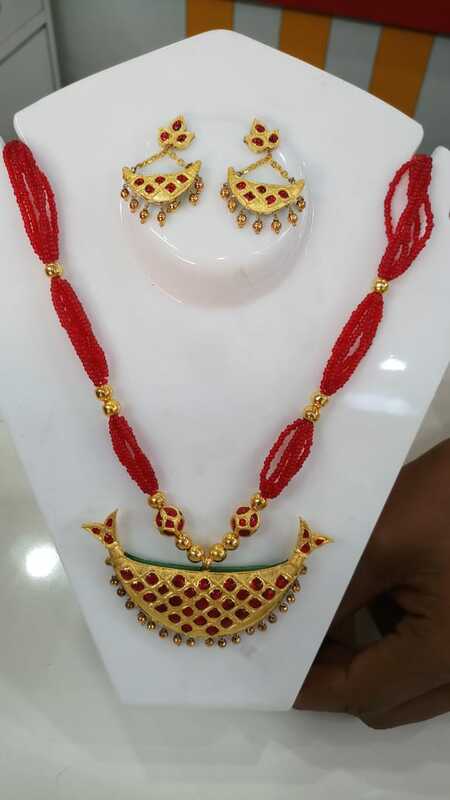 It is well matched with any type of dress up like Saree, Mekhela Sador , Salwar suits etc. 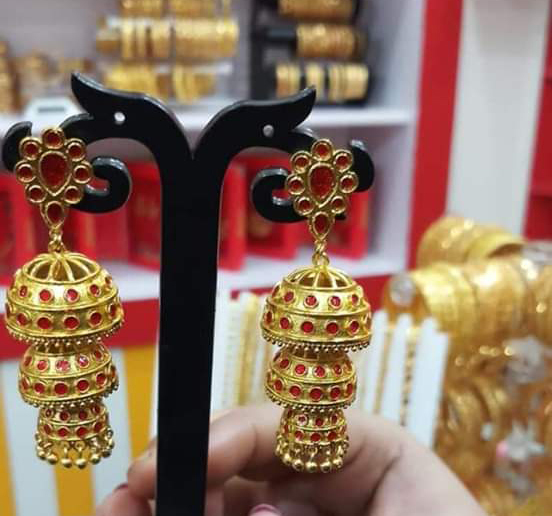 Keep in a box covered with cotton inside it . 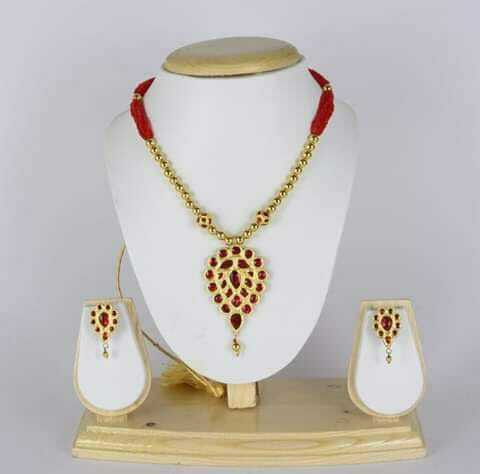 Guarantee card will be enclosed with the product .